The Methodist Episcopal Church experienced significant divisions in the early nineteenth century, which resulted in the following new denominations: the African Methodist Episcopal Church (1816), the African Methodist Episcopal Zion Church (1821), and the Methodist Protestant Church (1828). Yet the largest division was a major split along geographical barriers due to the issue of slavery. After it became widely known that the Southern bishop, James Osgood Andrew, was a slave owner, the 1844 General Conference of Methodist Episcopal Church debated the matter at length. After it was requested that Andrew step down from the episcopacy, Southern Methodists passed the Plan of Separation, which created a new, distinct ecclesiastical organization: The Methodist Episcopal Church, South. This ecclesiastical schism presaged the succession of the Southern states and the outbreak of the Civil War. 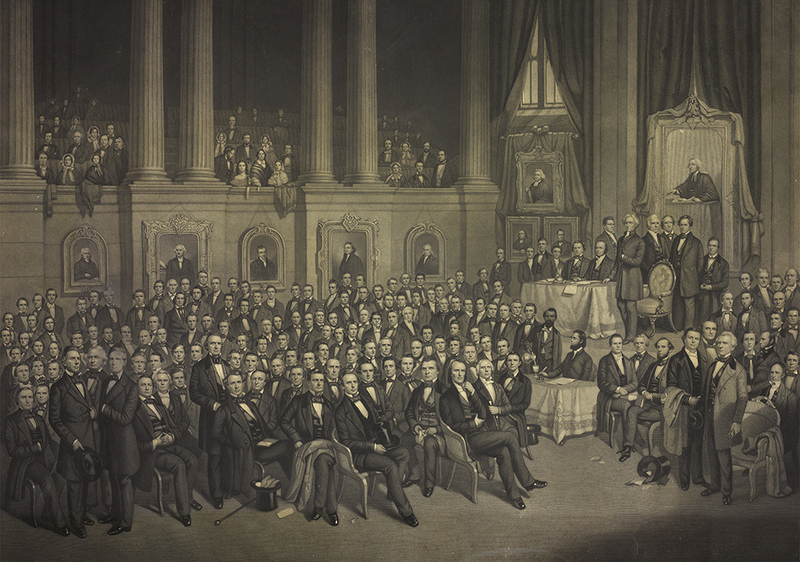 Despite the split in the Methodist Episcopal Church over the issue of slavery, the abolishment of slavery did not immediately mend the two culturally distinct denominations. 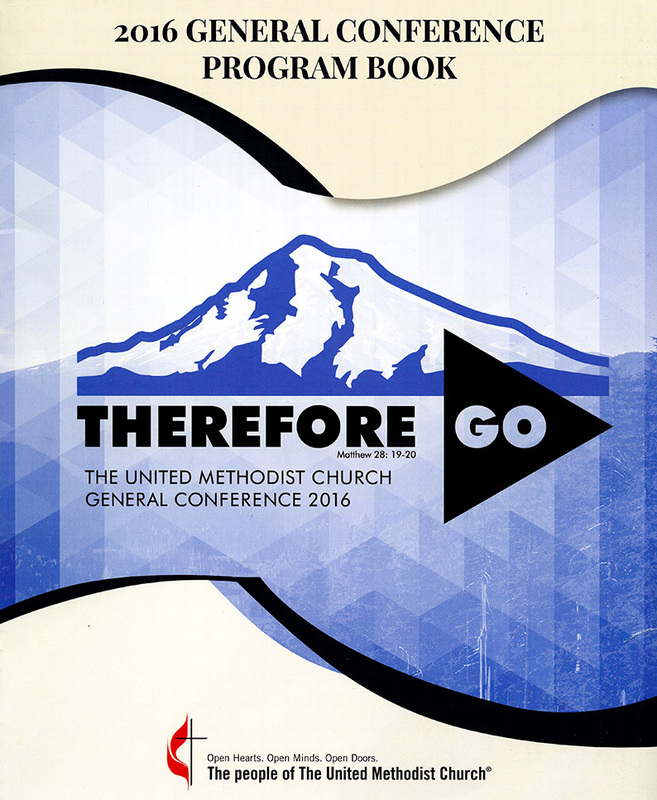 Methodism in Georgia in the late nineteenth and early twentieth centuries was still very much divided, with separate conferences or denominations for whites and African Americans. The Methodist Episcopal Church, South experienced considerable growth after the Civil War, tripling in size from 1870 to 1910. It was also a socially conservative church and many of its members participated in the Temperance movement. This is also the period in which the influential bishop, Warren Akin Candler, rose to prominence. In 1914, Candler and his brother, Asa Griggs Candler, were instrumental in establishing Emory University in Atlanta and Candler School of Theology as part of it. Foreign Missions in the Methodist Episcopal Church, South also expanded during the years 1870 and 1910, due in part to a reorganization of the Board of Missions in 1870, but also because the South was beginning to rebound economically and was able to cover missionary expenditures. In 1878, the church also founded a Woman’s Missionary Society in order to support and promote foreign missions within the churches. 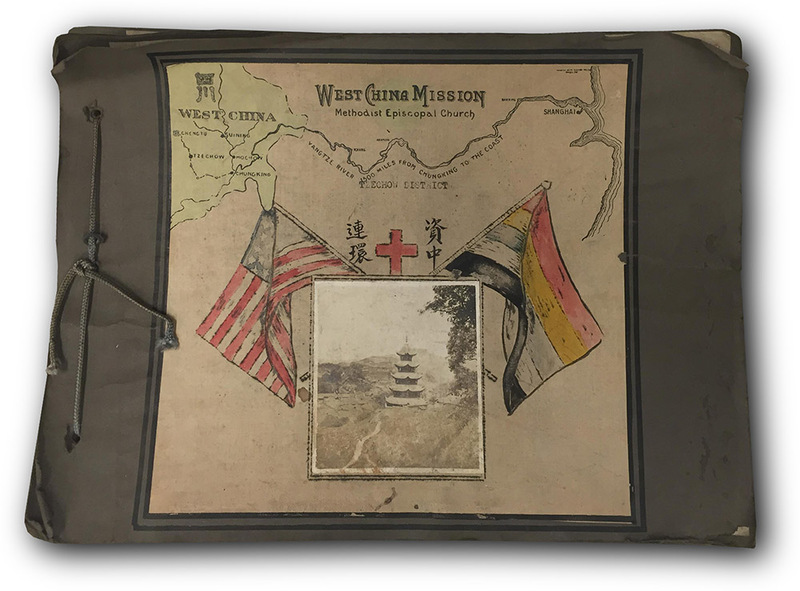 Methodist missionaries who traveled to foreign lands in the late 1800s and early 1900s were revered for their sacrifices. They often traded comfort for discomfort and entered dangerous circumstances because they understood it as their calling to respond to Christ’s Great Commission to go into all the world. It was nearly a century (1844-1939) that the Methodist Episcopal Church was divided into northern and southern denominations. The two bodies reunited in 1939, but the road to this unification was an arduous one. As early as 1876, in Philadelphia and at Cape May, New Jersey, there were initial conversations about restoring fraternal relations. Major discussions, however, began in 1916, and it soon became clear that reunification would be complicated. When the two bodies reunited along with the Methodist Protestant Church, this created the largest Protestant denomination at the time, called simply the Methodist Church. Unification, however, was not without its problems. 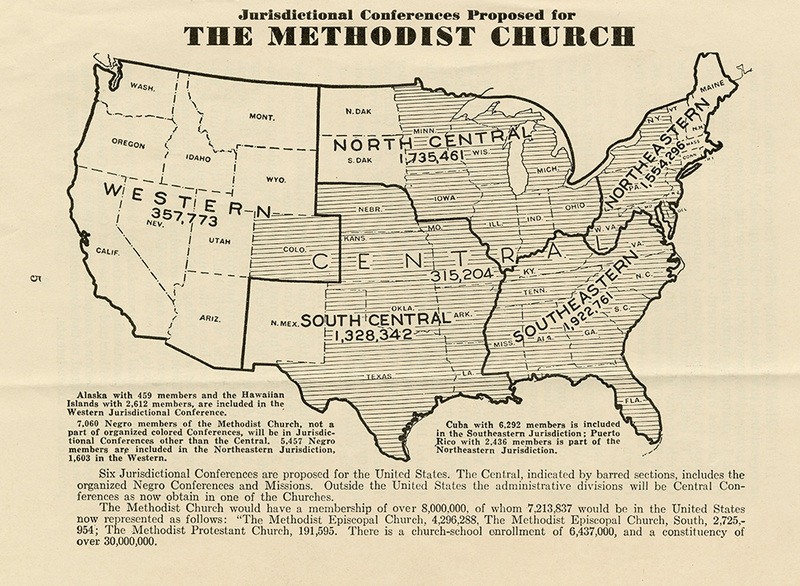 Unification resulted in segregation of African American churches into a “Central Jurisdiction.” This segregation was reversed when the church was restructured in 1968 and merged with Evangelical United Brethren Church to form the United Methodist Church. The year 2018 marks the fiftieth anniversary of the United Methodist Church. The denomination remains the second largest Protestant denomination in the nation, though its membership and attendance in America have declined in recent years. The denomination both focuses on the discipleship of its members and reaches outward through global ministries and disaster relief. The continents of Africa and Asia have been at the center of much of the recent growth of the United Methodist Church. Many view one of the strengths of the United Methodist Church in America to be its social and cultural multivalence; it is the denominational home to both George W. Bush and Hillary Clinton. Yet the denomination is at a crossroads, particularly with respect to the issue of human sexuality, which many fear may lead to a major schism.